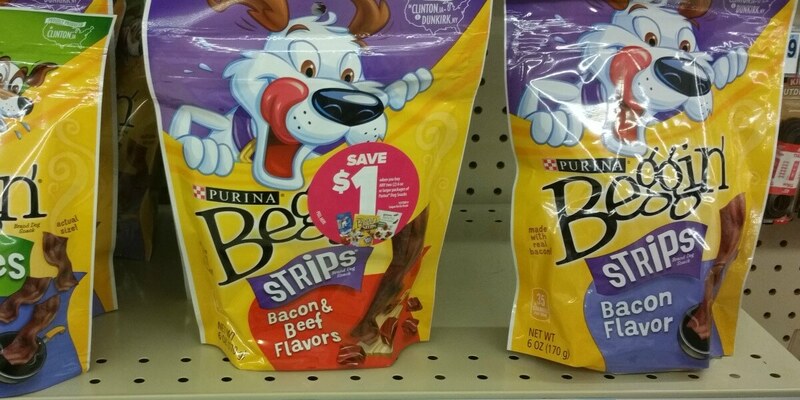 Purina Beggin Treats Just a Buck at Rite Aid! Now through Saturday, 5/6, Rite Aid has select dog treats on sale for $4.00 each, must buy 2 to get this price and when you buy 2, you will earn 200 Plenti Points ($2.00, limit 2). I checked out what was included and found Purina Beggin Treats 6 oz are included, which made me super excited! We have this new B1G1 Purina Beggin/Beneful 5.5oz+ dog snacks up to $3.99, in this weekend’s (4/30) Smart Source, exp. 05/30/2017 available making these just $1.00 each after all offers. I have a feeling my fur babies will be very happy! Note: This coupon went through without beeping, however I noticed the amount taken off was $0.00. I had to bring this to the attention of the cashier, who was able to adjust the amount to $3.99. 5 Inexpensive Ways to Surprise your Mom for Mother’s Day!